Amazon is remaindering a number of books, including one that I thoroughly recommend: The Emperor of Scent, by Chandler Burr. It's the well told (true) story of a scientist who has an unusual theory of how the sense of smell works, which could either net him a Nobel Prize or shatter his professional reputation. James Halliday gave me his copy to read when I visited him in the Yarra last March - the importance of this topic for wine appreciation is clear. It's on sale at just £1! Also selling for just a quid is the Winemaker's essential phrasebook, an innovative project headed up by young Barossa winemaker James March, under the watchful eye of Halliday. It has each phrase translated into each of the key wine languages - handy for when you want to tell your Portuguese cellar rat to microoxygenate tank number 3 after punching down the Pinot Noir in the open fermenter on the left. Those are wonderful book deals. The Emperor of Scent is over $11, and The Winemakers' Essential Phrasebook is $40 here in the USA! I believe the author of the Phrasebook, James March, is now assocaited with the family viineyard (Heathvale) in Eden Valley, South Asutralia. Excellent Shiraz and Riesling. The cooler climate allows them to make a very impressive Chardonnay as well. As you know Jamie, I sell wine books on the side. I made the mistake of ordering 10 copies of this phrasebook sight unseen from Mitchell Beazley and have never sold a single copy at the ridiculous NZD price that it is listed at. I have taken to giving them away to winemaker buddies. So it is a blessed relief to finally discover it in the remainder bin. Mind you, I also ordered sight unseen 10 copies of Wine Science. I was a little disappointed that some of the book repeated a lot from your various features for Harpers, but most of my customers do not get Harpers, so I was covered! Yes, I met James and tasted his wines a year or two back in the Barossa. Quite impressive. Paul, some of the chapters began their life as Harpers articles and then evolved a bit. It was writing for Harpers on some of these issues that led to the idea for the book. I hope, though, that you feel the result is a cohesive book and not just a collection of features. Considering the fact that the book has been universally acclaimed and won the Glenfiddich last year, the paltry amount of money I've earned from it is truly alarming! Hope your book selling venture is doing well. We might have to talk: I have a book in the pipeline that I think would sell really well in New Zealand. 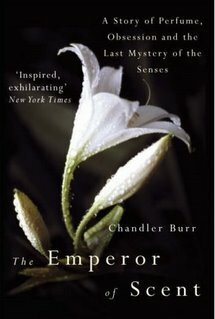 The Emperor of Scent should be a must-read for wine industry professionals. The plant physiology chapter is great - I enjoy foisting it upon students! Buy this book with Wine Science: The Application of Science in Winemaking (Mitchell Beazley Drink) by Jamie Goode today! I got best deals on bargain books by using Zooba coupon codes....!